If used wisely, the Internet can make money even reaching thousands of dollars every day. There are many ways to make money from the Internet, various sites offer income. One of them is the Steemit site, on this site users create a Content or Article then pay. How it works like Social Media or Forums, many users make articles then many comment. Besides adding knowledge and insight, users can also earn income. Many call Steemit a Social Media because on this site you can get lots of friends and share information, but the advantage is that users can get money. 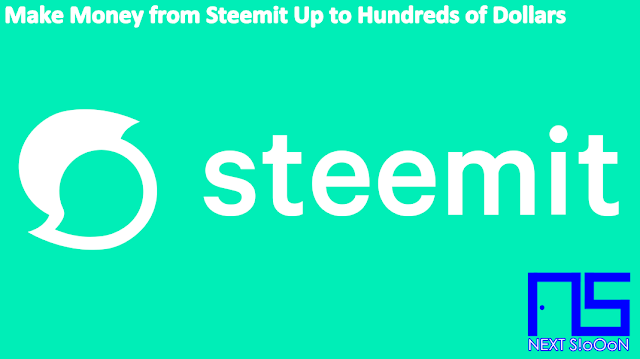 Users in Steemit continue to increase to millions of users around the world, every day there will be Tranding Articles with income reaching $ 200 to $ 500 USD. There are some articles in Steemit that discuss if some of them are Blogging who give up because it's hard to get money from Blogs. They turned to Steemit to write and make money. Evidently in a few days one article can make money up to $ 300 USD, this becomes an opportunity and opportunity for everyone. The initial challenge is to register and get a Steemit account quite difficult and tight. Steemit will review every new account that is registered, the process can reach 1 week to 1 month. That is because Steemit wants to have good members so they can contribute to the site. You can try registering in Steemit, visit the site at: https://steemit.com/, you register from now and wait for the next 1 month. Determine ideas for writing content, make sure the content is not there before so that the opportunity to make money faster. If your content is interesting it will invite many people to comment, every comment that comes in will be counted and become your income. If your post goes into Trending Topic then be prepared to make money up to $ 500 USD, that is only from one article. The more you diligently make articles, the greater the chance to get more money. Here are some articles that become Trending Topics, you can see income for one article. And see the time to collect the money is only about 3 days. Besides making content, you can also make money from comments. Look for other people's articles that you think are interesting and you understand the contents of the article. Then provide interesting and quality comments, if your comments get a reply from someone else then you have the opportunity to get a commission. The amount is not as big as the Article / Content, but if one Comment can make money then how much money if you often give comments every day. Never give a bad comment, insult, or content that reap a commotion, it can make your account banned. That's how to make money from Steemit, hopefully it's useful. You can try now because it's FREE, let's use the opportunity now. Keyword: Earn Money $100 - $500 from Steemit, What is Earn Money $100 - $500 from Steemit, Understanding Earn Money $100 - $500 from Steemit, Earn Money $100 - $500 from Steemit Business, Making Money Through Earn Money $100 - $500 from Steemit, How to get Money from Earn Money $100 - $500 from Steemit, Easy Way to make money from Smartphone with Earn Money $100 - $500 from Steemit Application, Online Business with Earn Money $100 - $500 from Steemit Application, How to make money with Earn Money $100 - $500 from Steemit Application, How to Work on Earn Money $100 - $500 from Steemit, Make $ 24,000 from Earn Money $100 - $500 from Steemit, Search for Dollars through Earn Money $100 - $500 from Steemit, Earn Money $100 - $500 from Steemit Dollar Generating Application, How to Get Dollars from the Earn Money $100 - $500 from Steemit Application.